3D Caravan RV Cake, a photo by CAKE Amsterdam - Cakes by ZOBOT on Flickr. Caravan cake for Mrs. Brown. Characters on top made in the likeness of the entire Brown family. 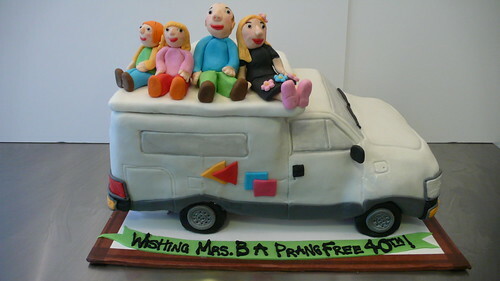 "Wishing Mr. B A Prang Free 40th"